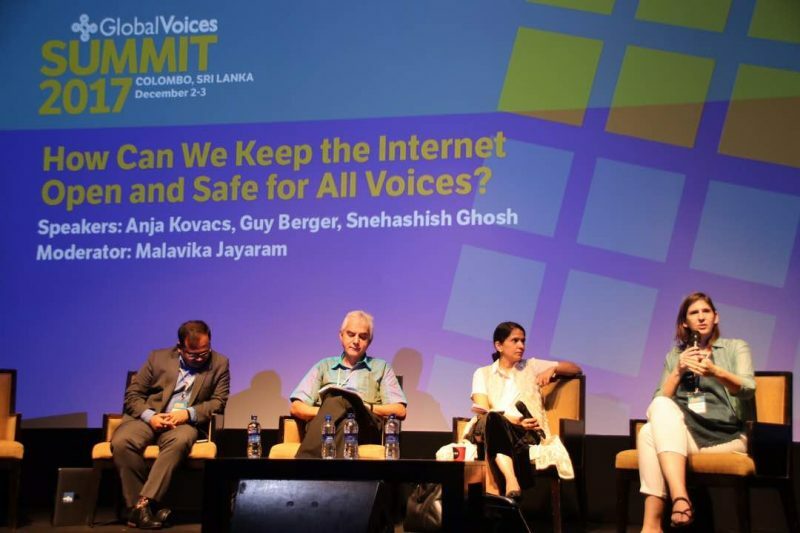 Global Voices Summit 2017 » How Can We Keep the Internet Open and Safe for All Voices? ‘How Can We Keep the Internet Open and Safe for All Voices?’ panel. Photo by Faaris Adam, used with permission. ‘Is there a way of thinking about the well-being of the Internet?’ asked Malavika Jayaramand, a privacy and technology law expert and moderator of the panel, ‘How Can We Keep the Internet Open and Safe for All Voices?’. This question opened the debate on the current health of the Internet, with Jayaramand leading the discussion alongside the director of the Internet Democracy Project, Anja Kovacs, UNESCO's Director for Freedom of Expression and Media Development, Guy Berger, and Facebook's representative, Snehashish Ghosh. As grave a situation as Internet shutdowns are, it is not the worst threat against the Internet's health. What’s worse is surveillance. Not only by governments, but also by corporations. Nowadays, as our digital and physical bodies are merging — given that our bodies are increasingly becoming data — the obliged question becomes: how to protect our rights as strongly as we did before? We need to put checks and balances in place. How is it even possible that we can sign away our right to privacy? What has happened to the world when there isn’t a tiny part of privacy that we can’t sign way? In order for the Internet to be more open and healthier, a business model that moves away from “corporate surveillance” needs to be implemented. For Berger and UNESCO, not all individuals and groups interested in contributing to the health of the Internet are able to compete under this existing business model, so a proposed solution is the continued fostering of the multistakeholder model for Internet governance. 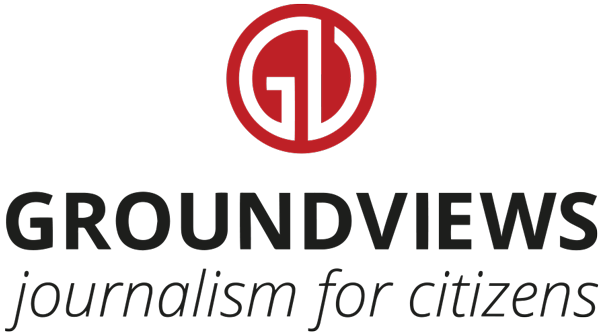 In relation to these issues of power, Kovacs noted that businesses like Facebook have made it easier for users to access the Internet, but they also wield a huge amount of power. If many of us have very little influence on changes to the Internet landscape, what can companies like Facebook do to help maintain the health of the Internet? To answer this question, Ghosh highlighted the work that Facebook has been doing to combat the so-called ‘fake news’ epidemic, a battle that Ghosh feels is part of Facebook's contribution to Internet health. According to Kovacs’ final remarks, what is becoming even clearer is that we, as civil society, need to continue to fight back. The Internet is ours and we need to reclaim it and spend time learning about data protection, privacy, encryption and share their knowledge with others.